This is just a short synopsis; you can find more detail in the complete, printable pdf file: Gathering Summary: The Craft of Knitting, etc.. There were no handouts. 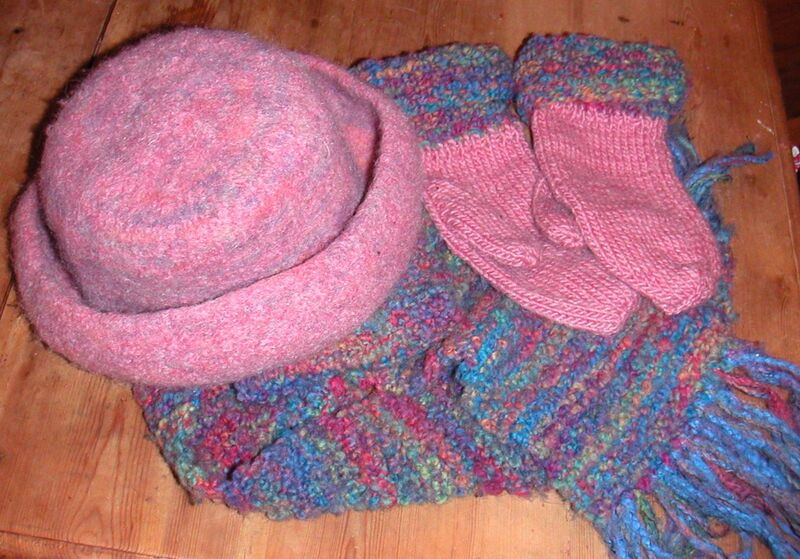 Carol brought lots of samples of knitted as well as crocheted, felted & needle-punched items to view. 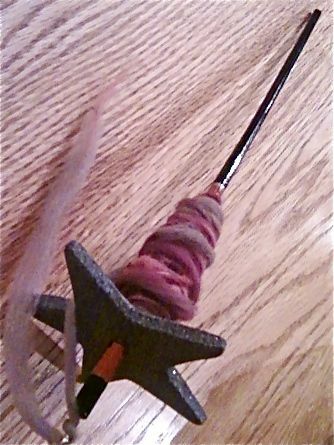 Her friend Roxy demonstrated how to use a drop spindle to make yarn from roving. 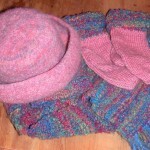 Several audience members brought in-progress and finished knit items. Read on for presentation topics, references & resources. Gathering Summary: The Craft of Knitting, etc., with Carol Marie, February 15, 2012. This entry was posted on Saturday, March 3rd, 2012 at 12:14 am and is filed under Gathering Summaries, Home & Ranch, Sewing & Fiber Arts. You can follow any responses to this entry through the RSS 2.0 feed. Both comments and pings are currently closed.